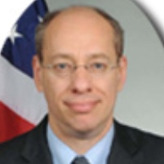 As the only Democrat then on the board of the Federal Trade Commission (FTC), Jon Leibowitz was not much of a surprise pick by President Barack Obama to head up the regulatory commission. But his role as chairman is expected to move the FTC in new directions that could mean tougher times for drug manufacturers, marketers and Internet advertisers. The FTC may also grow in size if Leibowitz—a former Capitol Hill staffer and Hollywood lobbyist—can convince lawmakers to increase the commission’s budget. A Phi Beta Kappa graduate of the University of Wisconsin with a Bachelors of Arts in American history, Leibowitz, 50, subsequently graduated from the New York University School of Law in 1984. He became a member of the District of Columbia Bar and co-authored amicus briefs before the U.S. Supreme Court on issues ranging from gun control to the census, while working as an attorney in private practice in Washington from 1984 to 1986. Leibowitz began what would become a 14-year career on Capitol Hill in 1986, when he joined the staff of Senator Paul Simon (D-IL). In 1989, he became chief counsel for Senator Herb Kohl (D-WI), a post he held until 2000. During that time, he concurrently worked for the Senate Subcommittee on Juvenile Justice (1991-1994), as chief counsel to the Senate Subcommittee on Terrorism and Technology (1995-1996), and as the Democratic chief counsel and staff director for the Senate Antitrust Subcommittee from 1997 to 2000, where he focused on competition policy and telecommunications matters. In 2000 the Motion Picture Association of America (MPAA) came calling and offered Leibowitz the new position of vice president of congressional affairs, making him a top lobbyist for the film industry on Capitol Hill. Leibowitz left his lobbying job in 2004, when President George W. Bush made him a recess appointment to serve as a commissioner on the Federal Trade Commission for the remainder of a seven-year term expiring September 25, 2010. Bush nominated Leibowitz on April 8, 2004, and his nomination was sent to the Senate September 10, 2004. He was subsequently confirmed by the Senate November 21, 2004, even though some consumer watchdog groups objected to his selection to the FTC, based on his ties to Hollywood studios. Objections were raised by the Center for Digital Democracy and Common Cause. Once on the FTC, Leibowitz championed commission efforts to prevent brand-name drug companies from paying manufacturers of cheaper, alternative medications to keep their products off the market. The FTC has filed numerous lawsuits against drug makers to challenge these so-called “reverse payments” that occur in drug-patent settlements. After a federal appeals court ruled against the FTC in one case, the commission sought legislation to make it easier for antitrust enforcers to challenge these arrangements, which the FTC argues costs consumers hundreds of millions of dollars in higher drug prices. 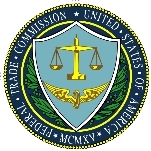 Leibowitz also advocated for more aggressive enforcement by the FTC. In dissents from commission orders, he favored steeper civil penalties or tougher remedies to preserve competition. Leibowitz was one of two commissioners to dissent from the FTC’s 2006 decision to allow Time Warner and Comcast to buy cable television systems from Adelphia Communications without conditions. He and commissioner Pamela Jones Harbour called for restrictions to keep the cable companies from discriminating against rival providers. On the issue of Net neutrality, Leibowitz stood out from his colleagues in June 2007 when the FTC released a report stating that no new laws were necessary. Leibowitz issued an opinion saying that existing antitrust laws may not have been “adequate to the task” of Internet broadband regulation. Unlike his 2004 nomination, consumer groups this time applauded Leibowitz’s elevation to chairman of the FTC. “Leibowitz will help transform what has been a largely anemic regulatory watchdog during the Bush years into an agency that sees its first priority as consumer protection,” said Jeff Chester, executive director of the Center for Digital Democracy. Leibowitz is married to Washington Post columnist Ruth Marcus. The two were introduced by Leibowitz’s former boss, Sen. Kohl. The couple lives in Bethesda, MD, with their two children.